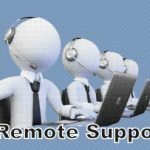 Best Remote Support Services available. You don’t have to live locally to take advantage… just give us a call. For small fixit jobs. You can call into our store and have a technician see you at the counter. Or just come in and have a chat about any issue you may be having. Our turn around time is usually 3 days for workshop jobs. Although depending on workload, we may get it done sooner. If you don’t want hassle or it’s not feasible to bring your computer into us. Then this is the ideal option for you. 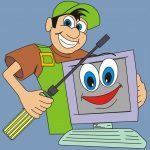 Masterlink Computers Qld cannot access your computer unless you have their “Masterlink Suppport” software (teamviewer) open. Any information divulged to Masterlink Computers Qld during a remote support session, either through information directly divulged or accessed will be kept in the strictest confidence.